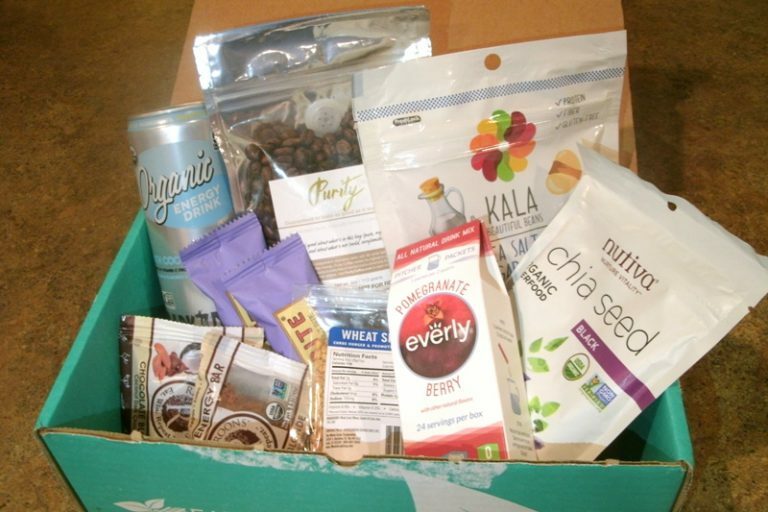 I love receiving the Fit snack box because it introduces me to new and convenient snacks that are always healthy. With today’s Fit Snack review, I’m unboxing the August 2017 Fit Snack. The August Fit Snack box was packed with nutritious foods and an array of staple pantry items and snacks. As an added bonus, you will also receive a free workout outline. 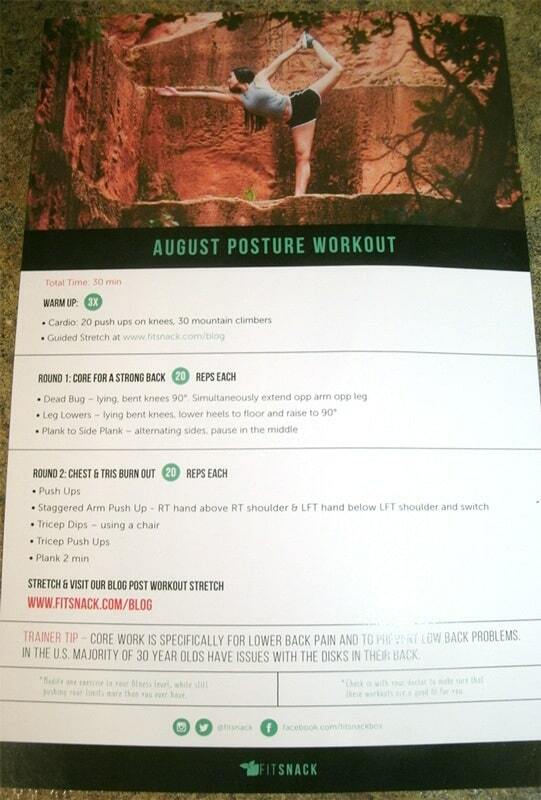 This month’s workout is focused on good posture, who doesn’t need that? 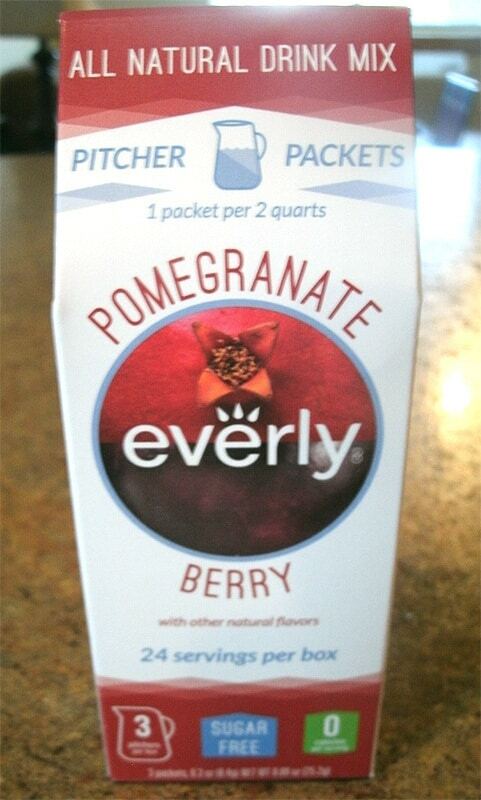 Go Everly: This product is a flavor-filled drink mix that allows you to indulge in a sweet pomegranate berry flavor without sugar. 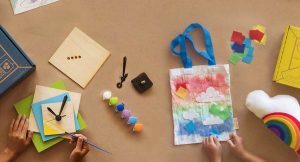 There are three individual pouches that each make a 64 oz. pitcher. Kala Beautiful Beans: These roasted fava beans are crunchy and flavored with sea salt and vinegar. They are gluten-free and contain 7 grams of protein per serving. 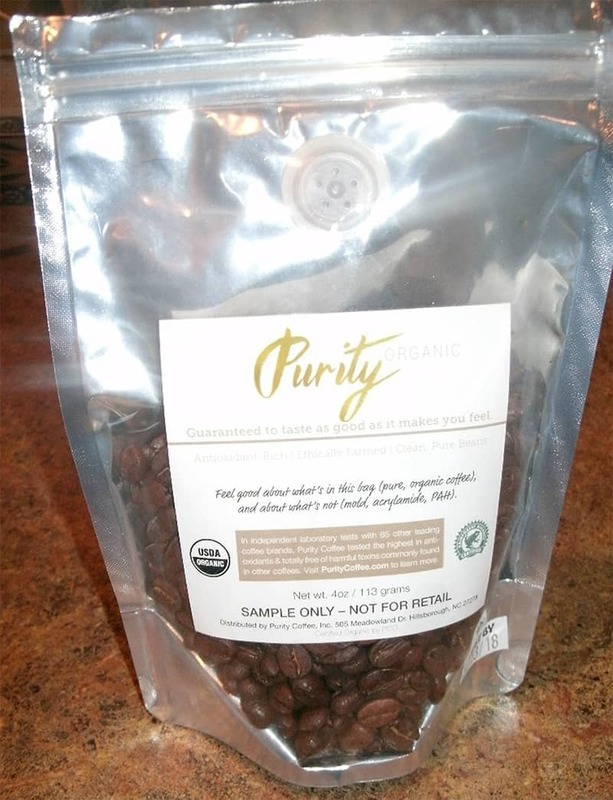 Purity Coffee: This organic coffee is all that the name says- pure, clean, ethically farmed, and antioxidant rich. For those coffee connoisseurs out there, Purity coffee tested highest in antioxidants and was found to be free of commonly found toxins in other coffees. The scent and flavor of these coffee beans are rich and dark- very delicious! Rickaroons: This month’s box contained two of these moist and sweet coconut energy bars. Biting into this bar you would never guess that it is gluten and soy-free, paleo, vegan, and non-GMO. The coconut flavor is paired nicely with chocolate chips and small crunchy almonds throughout. RawBite: This organic fruit and nut bar is filled with simple nutrition. The vanilla and berry flavor was subtly sweet and perfect for a mid-day snack on the run. This month’s box contained two of these bars- I ate one immediately and threw the other one in my purse. 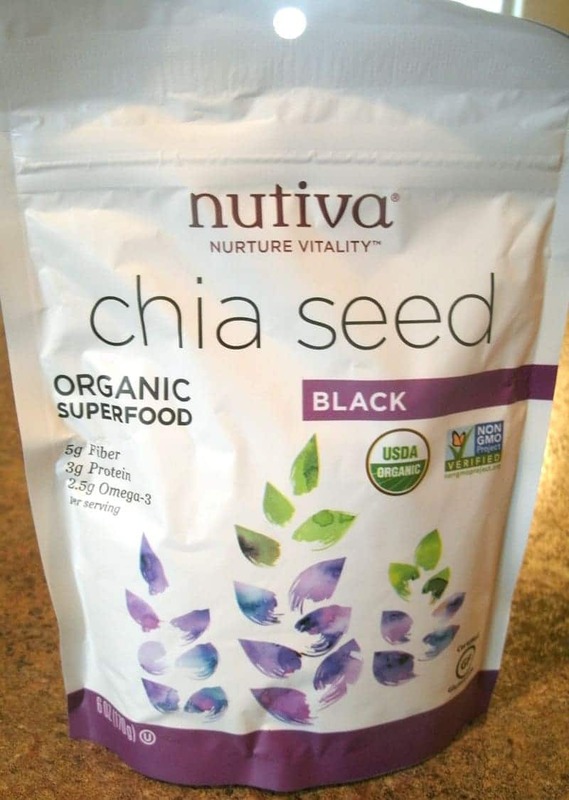 Nutiva Chia Seeds: I consider chia seeds a pantry staple. They make a great egg-replacer and also add healthy omega-3 fatty acids and fiber to any smoothie or baked good. I was excited to receive this 6 oz. bag of black organic chia seeds. The Whole Grain Corporation: These whole wheat grain snacks are lightly salted and are the perfect size for a snack on the go or as a crunchy salad topping. Dark Dog Organic Energy Drink: This drink not only offers a boost of energy but also added health benefits from acerola fruit, coconut water, yerba mate, green tea, and other organic additions. 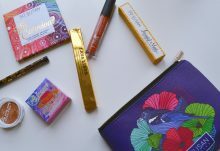 Which was your favorite snack from the August 2017 Fit Snack Box? 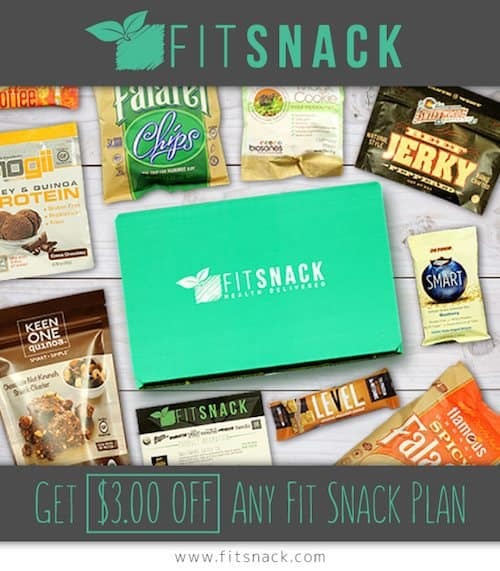 For a limited time, use our Fit Snack link to subscribe and you’ll save $3 off any Fit Snack subscription! 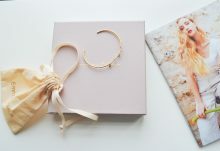 Sign up for 6 or 12 months Fit Snack subscriptions and you will also receive up to 3 bonus gifts, in addition to the $3 discount.